getting ourselves to part with a cozy bed in the morning ranks as one of the most dreadful thing in life but thankfully, there are a myriad of ways of knocking ourselves out of our dreamland. among them, ‘shoot to snooze’ alarm ranks among one of the most ancient novel way of doing it but looking at the upcoming Nerf Shoot to Snooze Alarm by Hasbro (£14.99 or about US$24), we can safely assume that Hasbro does not think of it as an age-old tactic. what harm can it do, especially when it can be use as a machine to drive your Nerf guns sale? aesthetically, there’s nothing to shout about this little cube. it looks like an oversized dice with a black paint job, spruced up with the familiar yellow and orange Nerf branding, product name and of course, crosshairs for you to aim at. 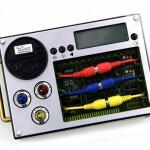 it sports a rather low tech, if not uninspiring monochrome LCD display that displays the date, time, as well as the room temperature (? 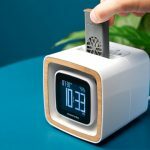 ), and features the standard alarm clock with snooze functionality, and a single alarm tone to go with it. oh, the LCD is equipped with a green backlight that’s activated by tapping anywhere on the clock. 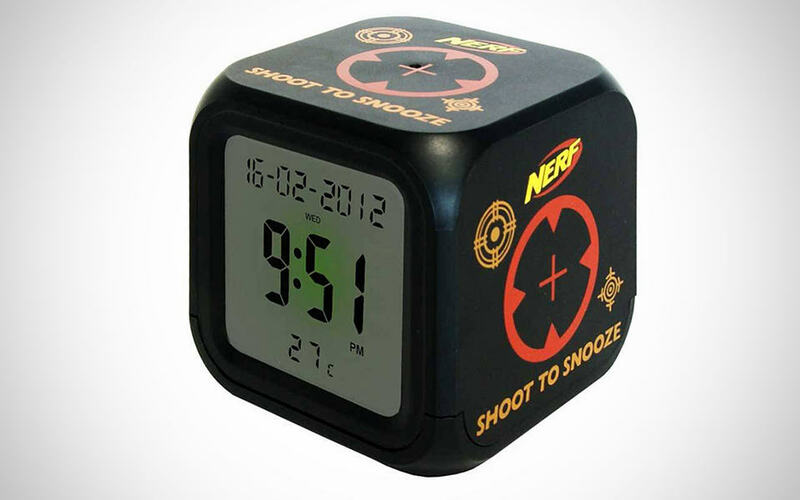 as for silencing the alarm, it is a straightforward affair: pick up your Nerf gun, aim and shoot at the target – doing it while you are still in daze which hopefully will be gone by the time you try, successfully or not, gunning this tiny (it measures just 8cm on all sides) alarm clock down. that said, you will need to keep a Nerf toy gun by your side but if you haven’t got one yet, you have to grab one. obviously. hmmm, i wonder if the Nerf N-Strike Elite Hail-Fire Blaster‘s semi-auto mode would help to silence it quicker and with a greater chance of success?